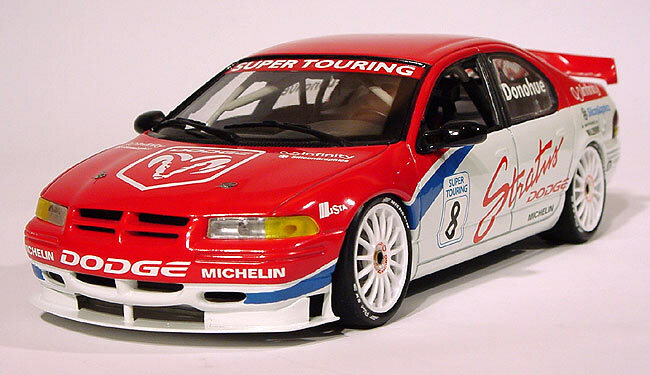 Here's a replica I built of Dodge's factory sponsored '97 Stratus that ran in the short-lived North American Touring Car Series. 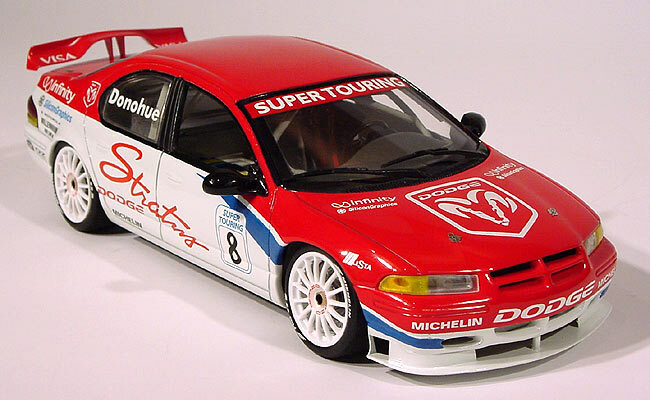 My model was built by kit bashing a Brookfield Collector's Guide Stratus promo with a Tamiya Alfa Romeo German Touring car kit. After the promo was disassembled I stripped the paint using Easy-Off oven cleaner. The body was then modified by removing the side trim. 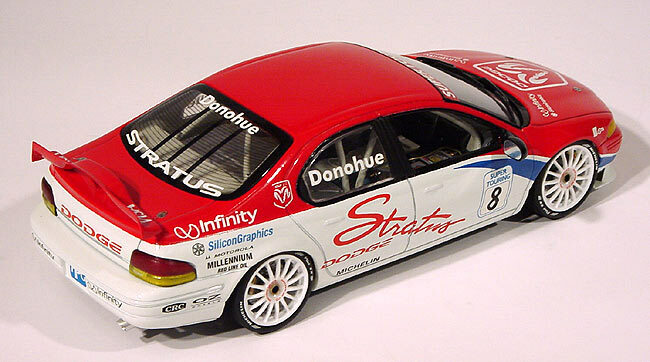 The basic Alfa chassis and interior floor pan were modified to fit the Stratus body shell. The Alfa kit also provided the wheels, tires and brakes. I scratch built the roll cage, front wind splitter and rear wing based on some photos I took at the 1997 NATCC Mid-Ohio race. The graphics were all created by me on my computer then had a local graphic arts shop make custom dry transfers from the art. Other details include photo-etched hood pins and real aluminum tube exhaust tips.